All you really need to know to get started with Gigantt is ENTER for a new task and INSERT for a new child task. But power users quickly become thirsty for more keyboard shortcuts, and Gigantt has one for every possible action. 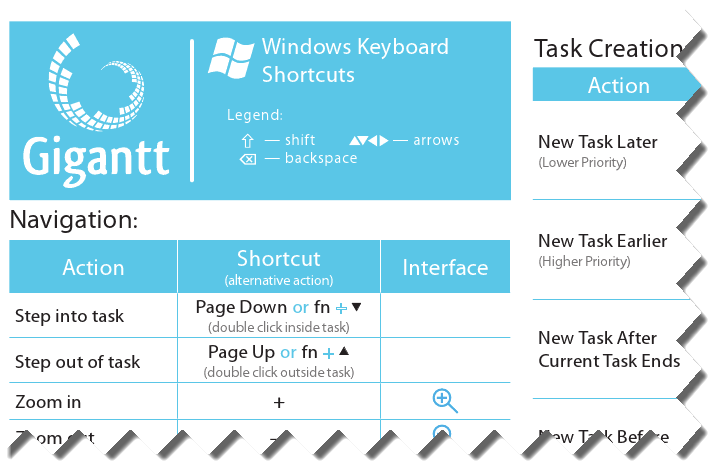 Gigantt's knowledgebase now contains a keyboard shortcut cheat sheet you can download and print.